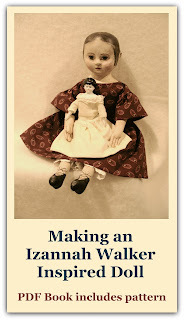 On November 30th, James D. Julia, Inc. will bring the Izannah Walker doll shown above up for auction. To read more, visit the James Julia site. 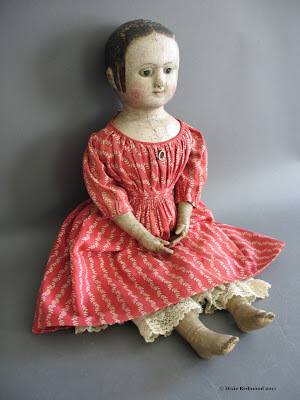 To see the other dolls at auction, click here. 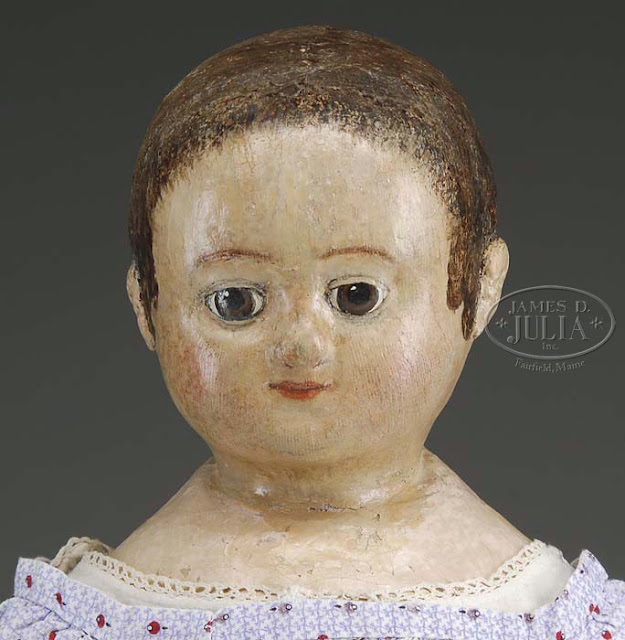 Nice doll! Looks like she might have been re-touched somewhat.....What do you think, Dixie? Susie - Yes, I think she's been helped a bit. What a beauty~ I wonder what she will go for? I guess it might devalue her to have been touched up? It will be interesting to see what her auction price ends up being. Thank you for posting such a sweetie!